Drawing from traditional practices, sourcing wild harvested aquatic botanicals, organically farmed plant based oils, and recycled packaging, and enhanced with organic and geologic elements, Alluvian manufactures a transformative collection of body products that are well suited for men living in modern day society. Alluvian was created for a society that demands a high standard of sourced ingredients, sustainable practices, and a return to American craftsmanship. 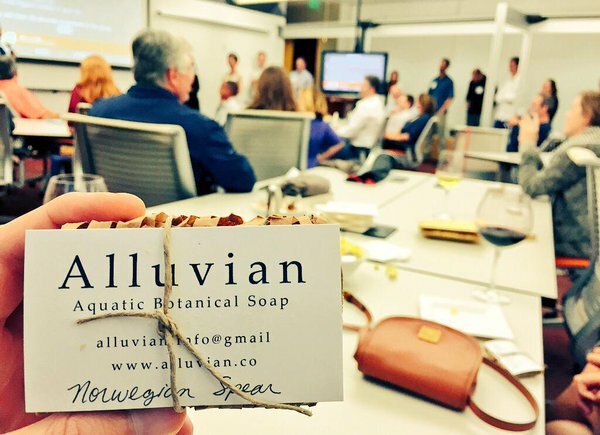 Known primarily for their natural, hand-crafted soaps, using the same principles, Alluvian also cover a wide range of men's grooming products, such as skin care formulations and shaving accessories. Branded perfectly with their core values, Alluvian's range is very appealing to the eye, and most importantly of all - high in performance. So, based on customer reviews and the standard of performance, what product in particular stands out from the rest in this diverse range? 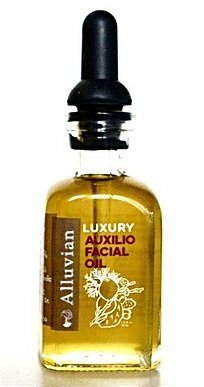 Alluvian Auxilio Facial Oil is a concentrated, one of kind, natural luxury formulation that will evoke truly radiant skin. This is the most desired natural cosmetic in the Alluvian collection. Extremely rich in retinol, Vitamin E, bioactive micronutrients and a full spectrum of omega fatty acids, Auxilio absorbs quickly and easily and is suitable for all skin types. This relaxing aromatic blend of Italian Bergamot, Egyptian Rose, Moroccan Neroli and Indonesian Patchouli biochemically improves absorbtion and promotes elasticity. Anti-aging face oils are growing increasingly popular with men, and that is mainly down to the ingredients. Men care more about exactly what they are applying to their skin, which is why the pure, effective and concentrated oil forms are proving to be such a popular choice. AUxilio Facial Oil stays true to its principles whilst delivering a highly effective formula that delivers true results. Interested in Alluvian products? Visit their official website Alluvian.co for more information and product purchasing.